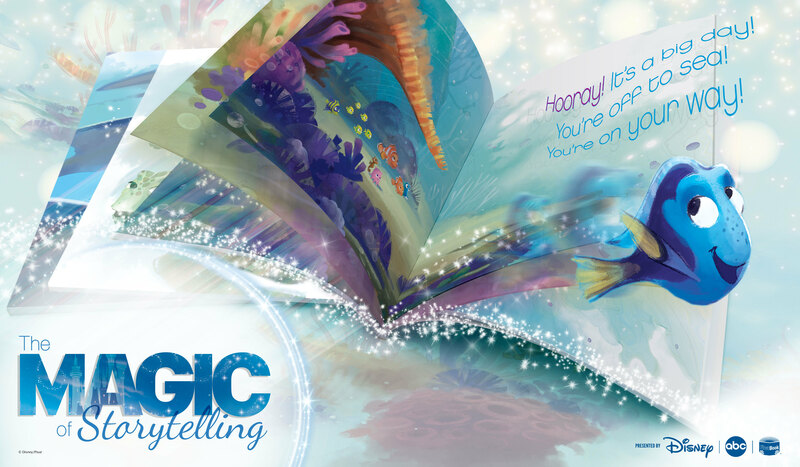 fifth annual Magic of Storytelling campaign from now through March 31.
children in need across the country. First Book for every book read in the app. the sweepstakes and for more rules and information, visit magicofstorytelling.com. locations is available at magicofstorytelling.com. here to view the PSA. resources to facilitate in-class and in-home shared reading experiences. Resources include lesson plans, reading activities, and more. Storytelling and Disney Reads Day, visit magicofstorytelling.com. or follow the latest news on Facebook and Twitter. books, magazines and digital products in 85 countries in 75 languages. For more information, visit disneypublishingworldwide.com.